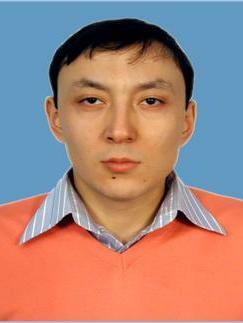 Doctor of PhD, associate Professor of Karaganda state technical University. Age 36, married, has three children. 2003 – graduated from Almaty University of energy and communications-specialty “Automatic telecommunications”. 2005 - graduated from Karaganda financial Institute with a degree in Economics. 2017 - graduated from the doctoral program of the Kazakh national research technical University. K. Satpaeva-specialty “radio engineering, electronics and telecommunications”. Since 2003 till 2014 – worked in Karaganda OTD, branch of Kazakhtelecom JSC, held positions such as engineer, chief engineer, foreman, intra-area Telecom networks. From 2003 to 2006 teacher of the Department of “switching Systems” of Karaganda Polytechnic College — part-time. From 2006 to 2014 - senior lecturer of the Department of “communication systems Technology” of Karaganda state technical University — as a representative of the production part-time. 2017 is Professor of “CTS” department.